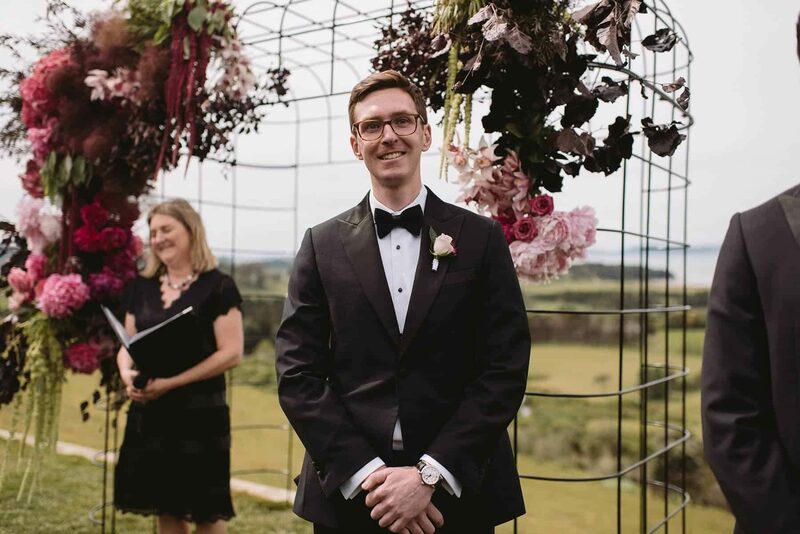 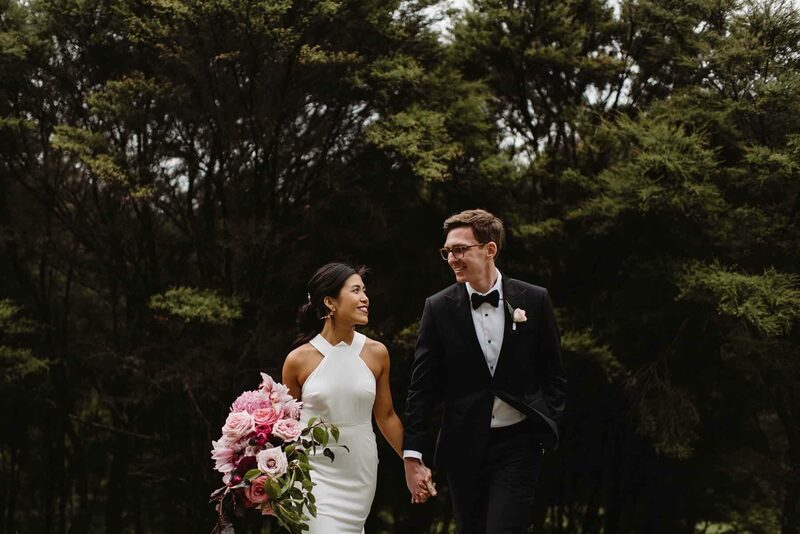 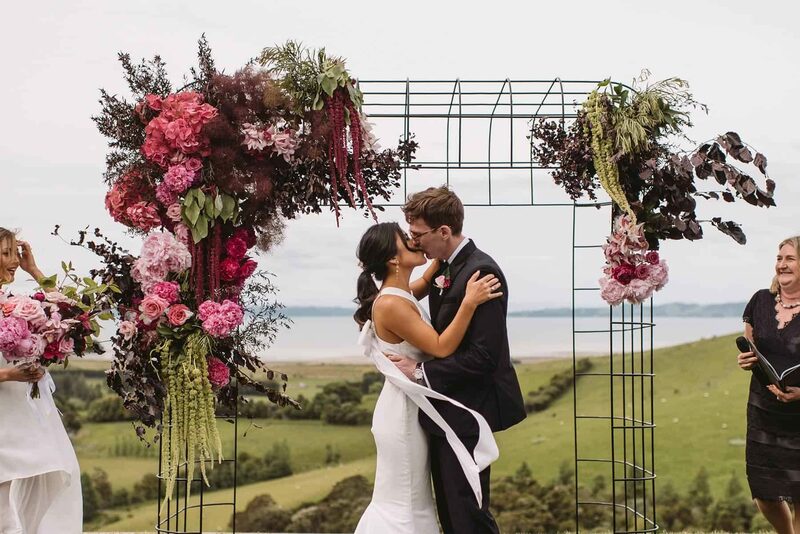 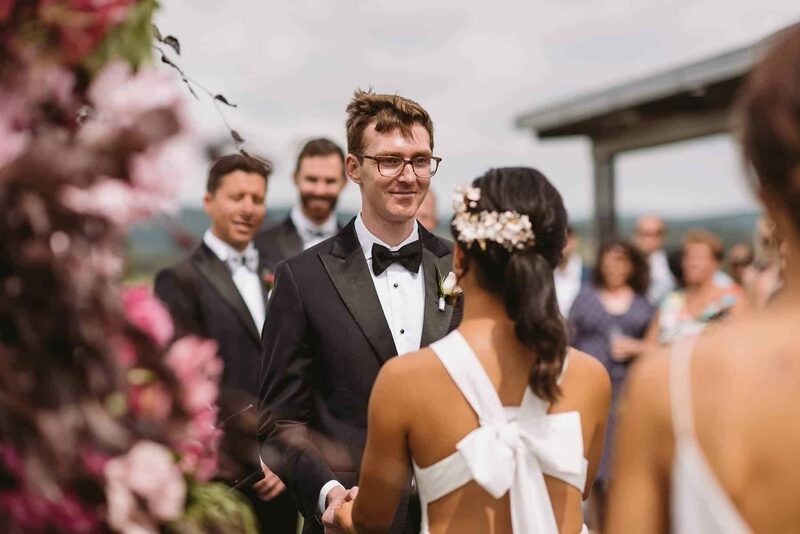 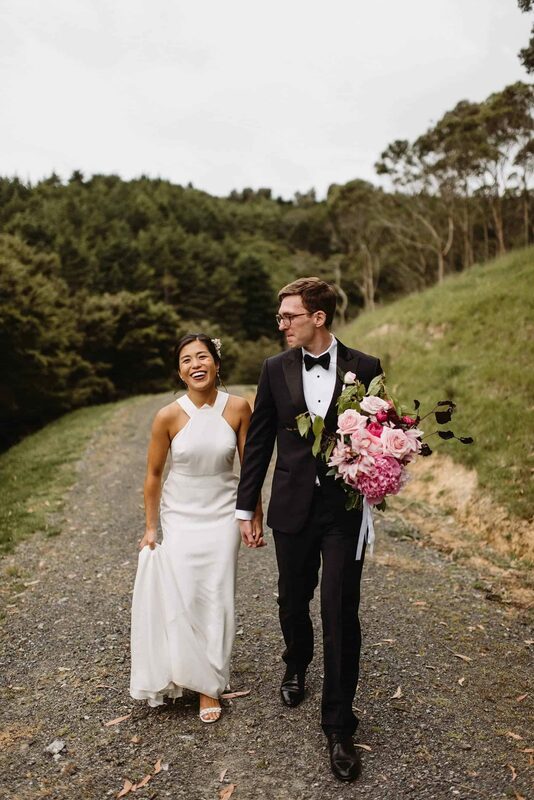 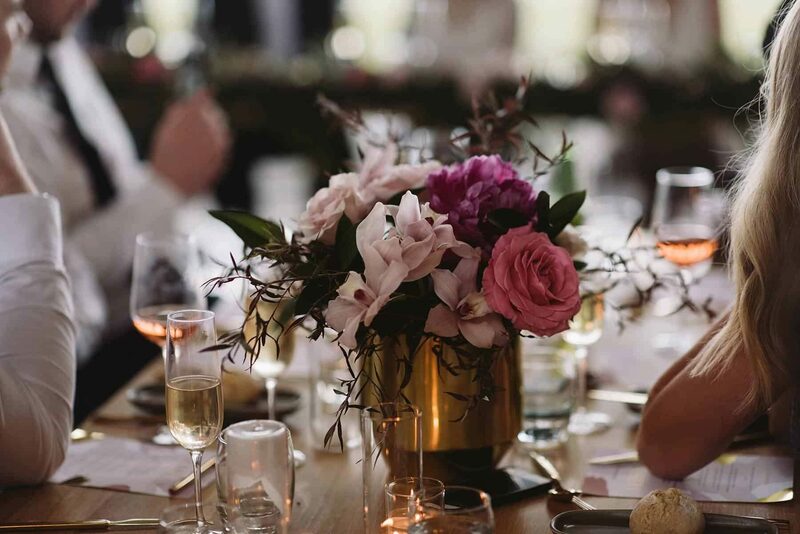 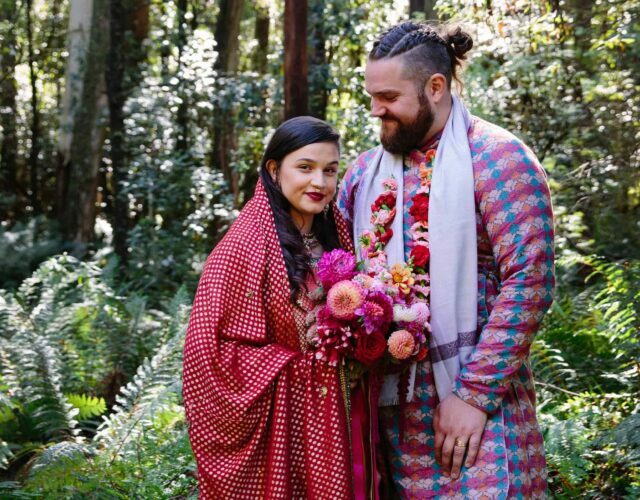 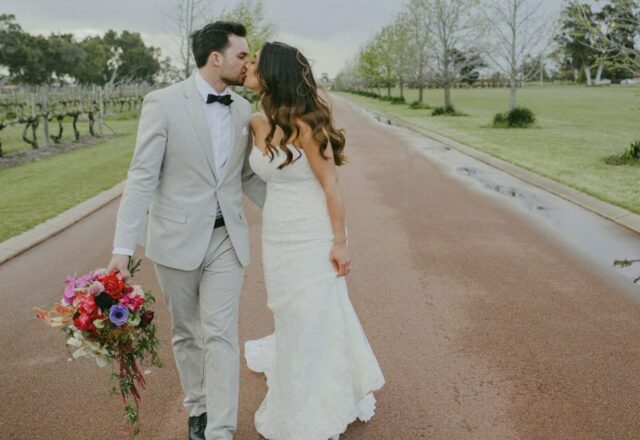 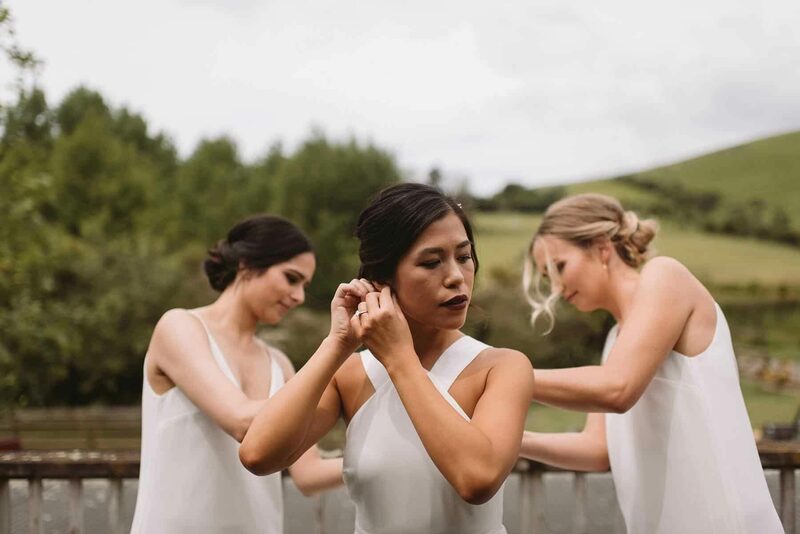 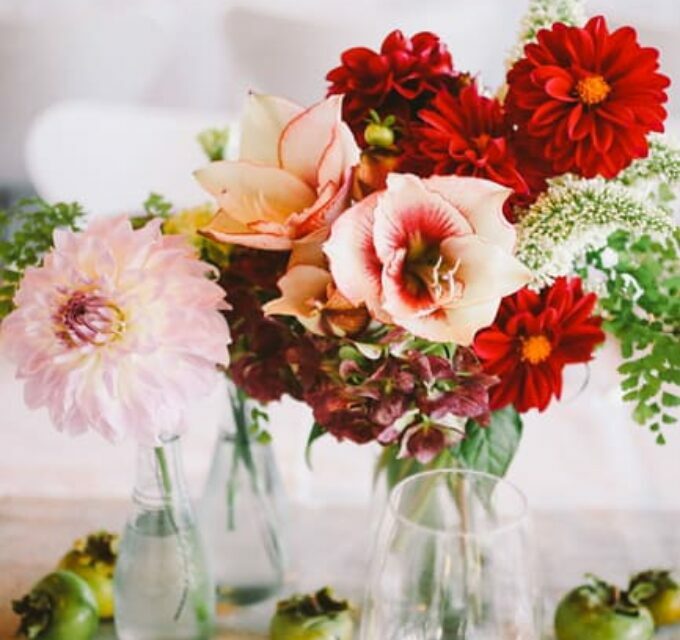 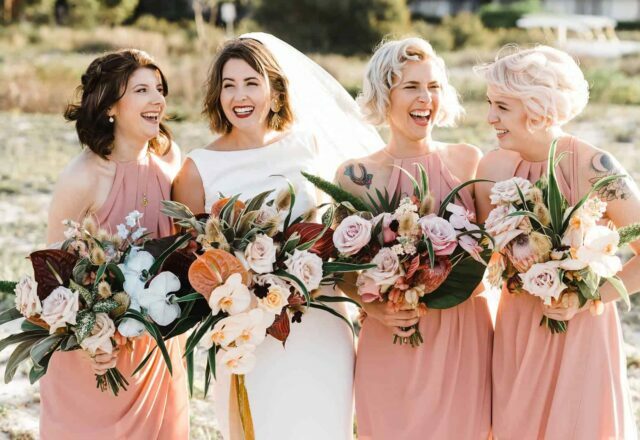 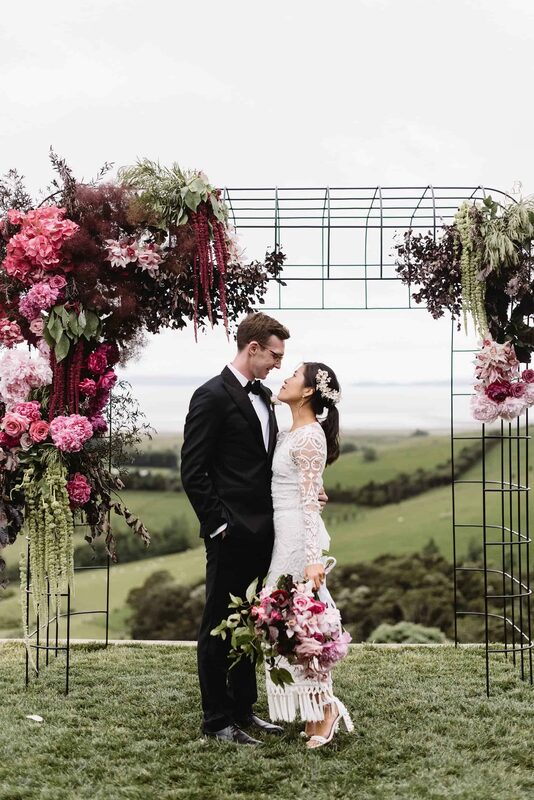 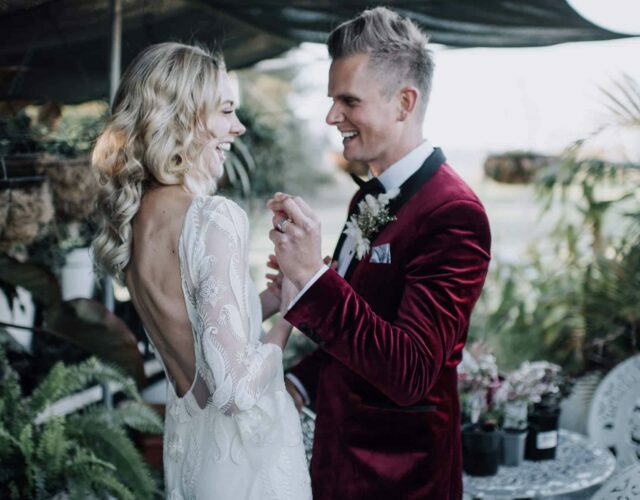 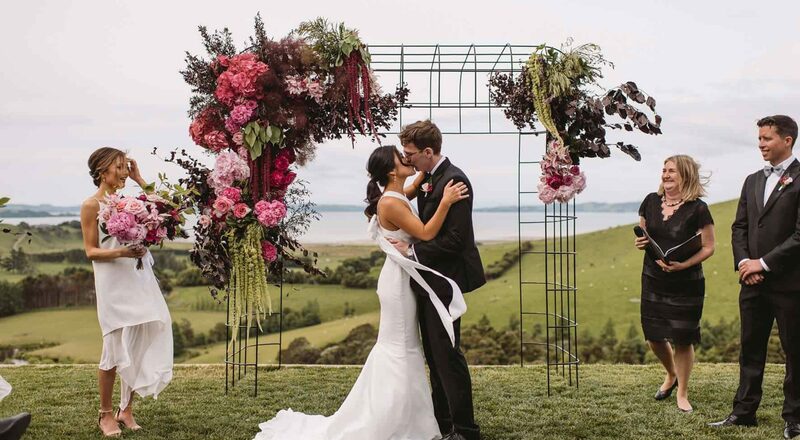 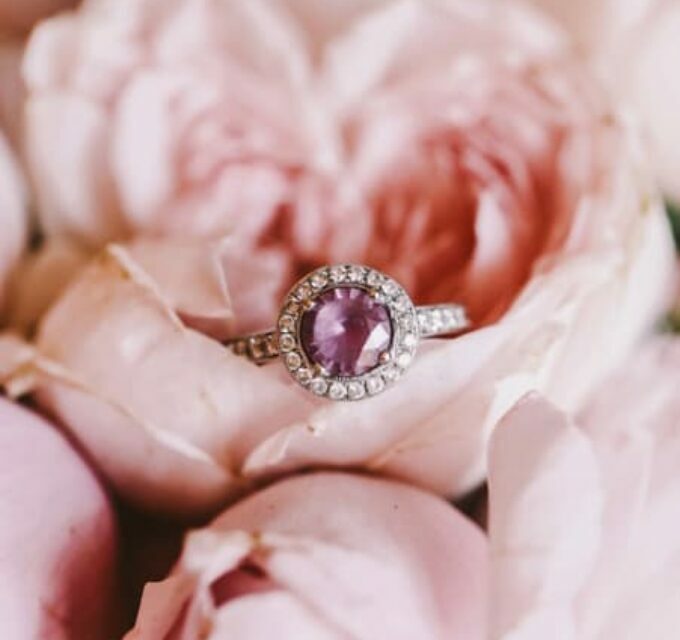 Epic New Zealand scenery, pops of bold blooms and two stunning dresses; we’re entirely smitten for Tiffany and Jason’s vibrant wedding, styled by PS I Love You Events. 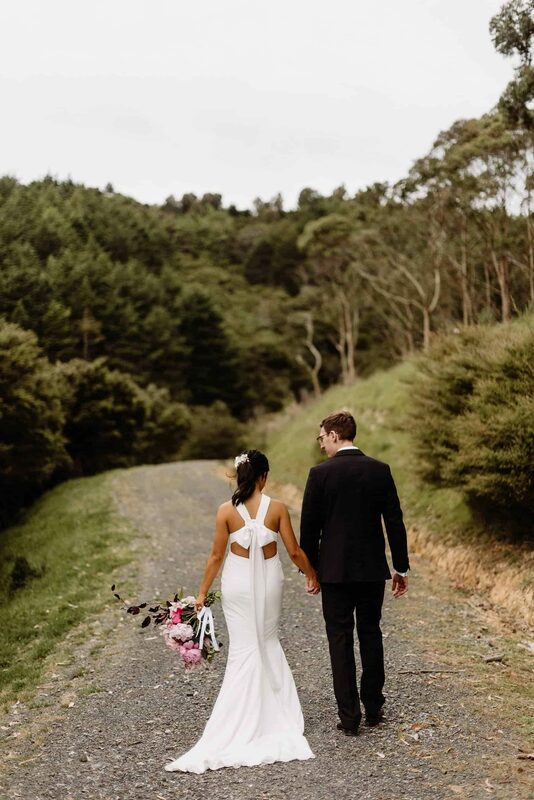 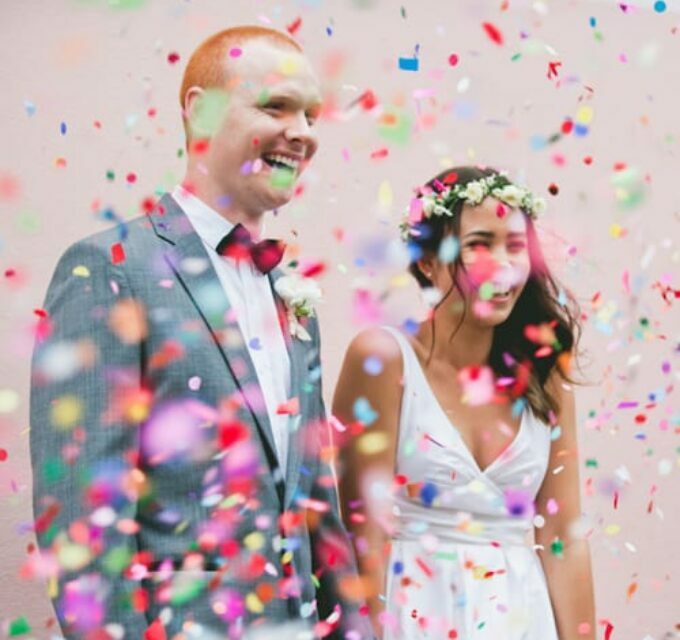 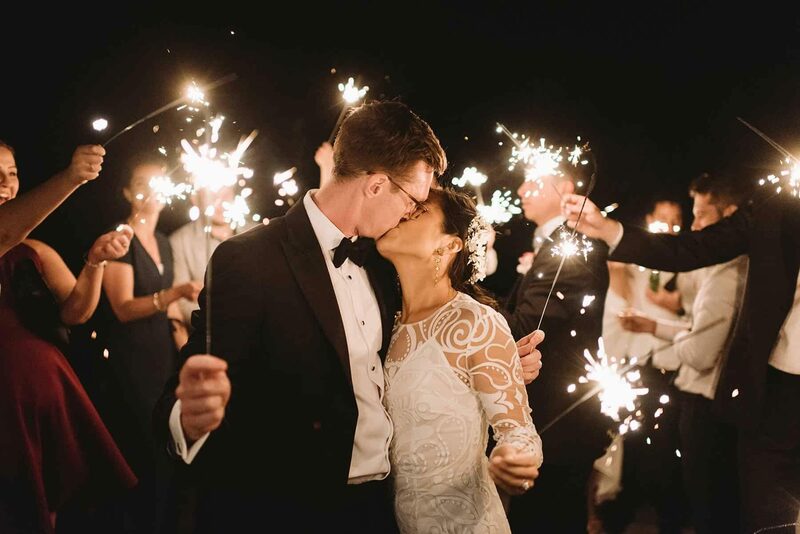 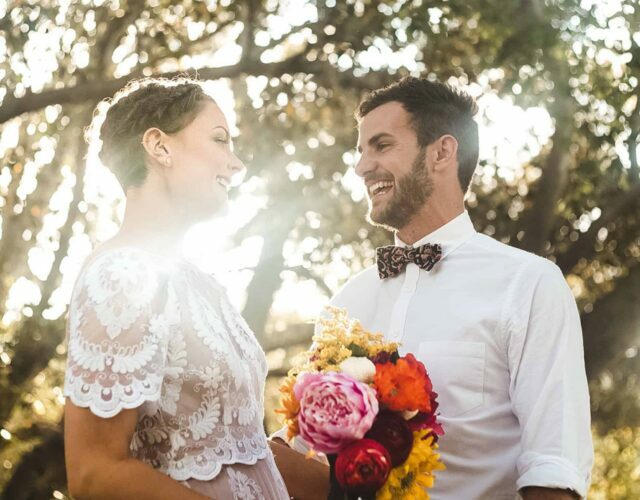 Photographer Nisha Ravji captured this couple’s truly memorable day at Kauri Bay Boomrock. 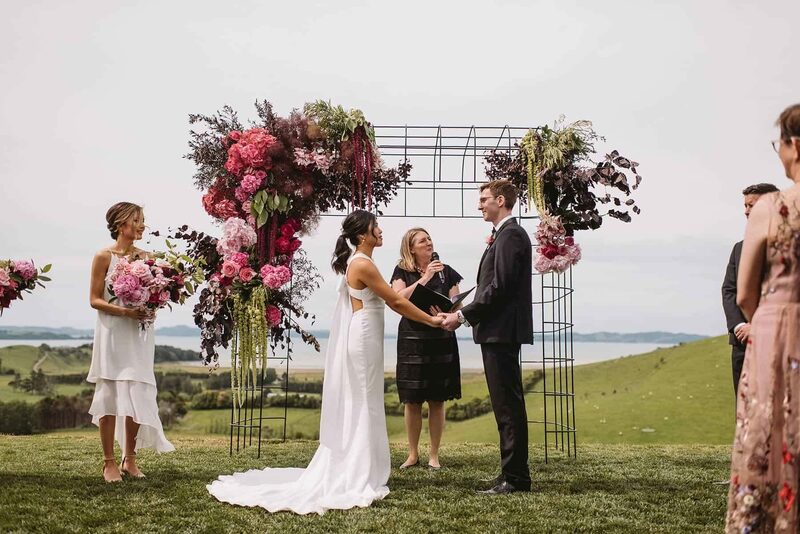 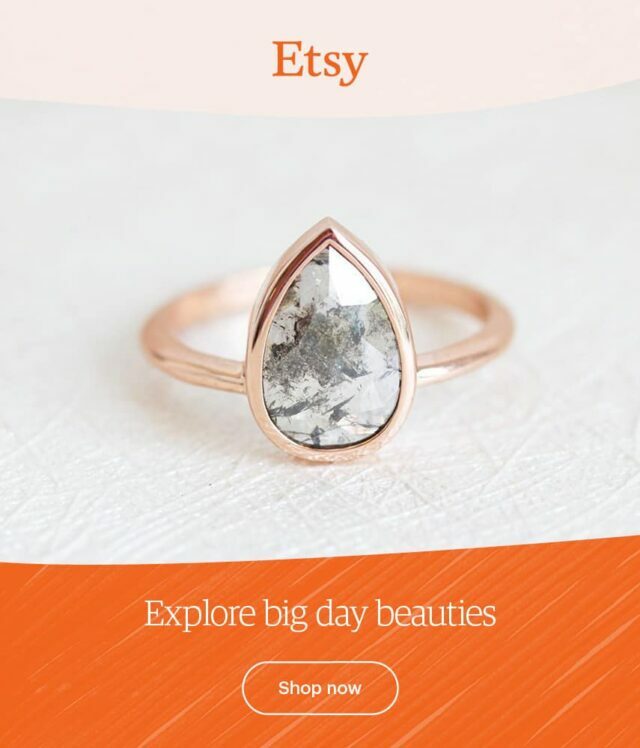 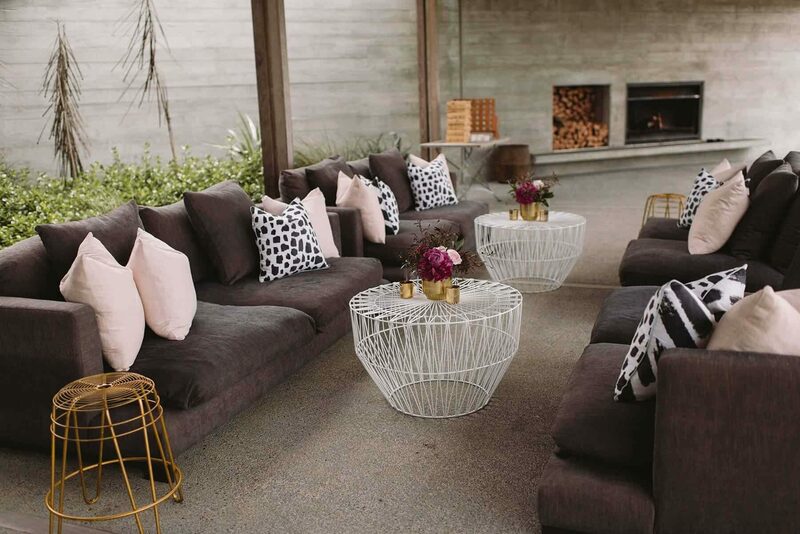 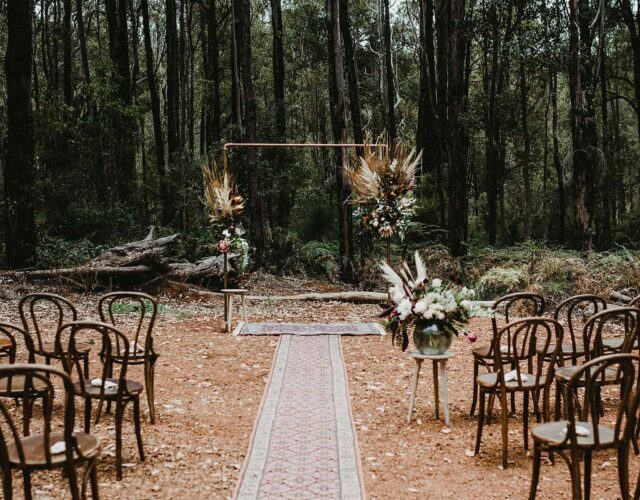 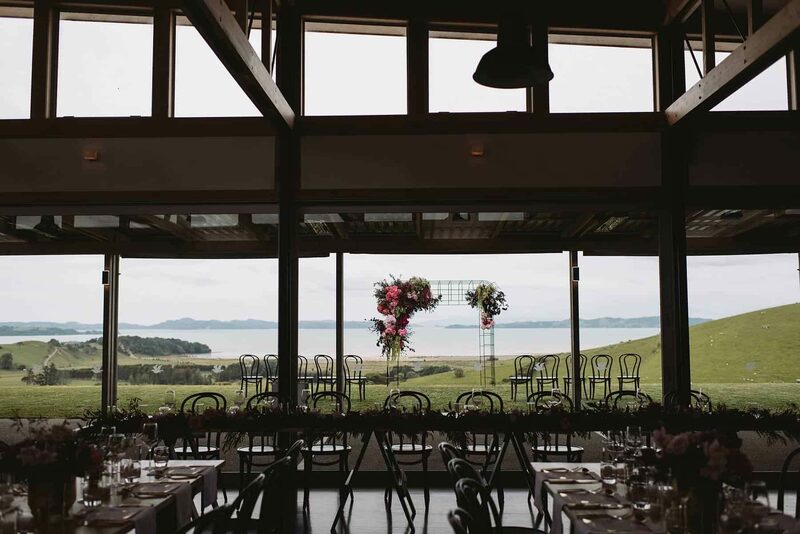 The ceremony was held overlooking the breathtaking coastline of Kauri Bay at event space Kauri Bay Boomrock. 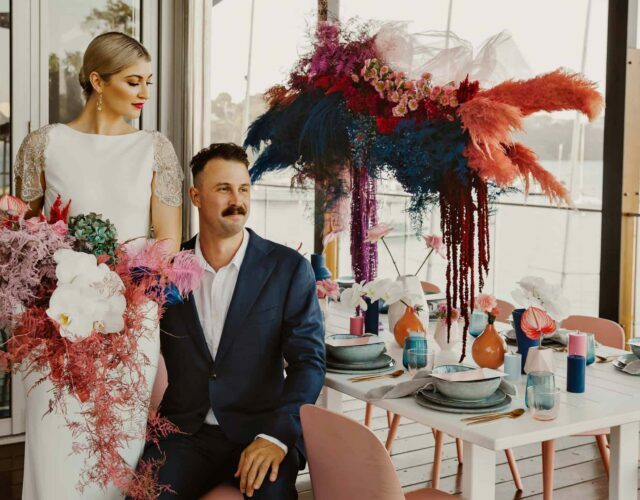 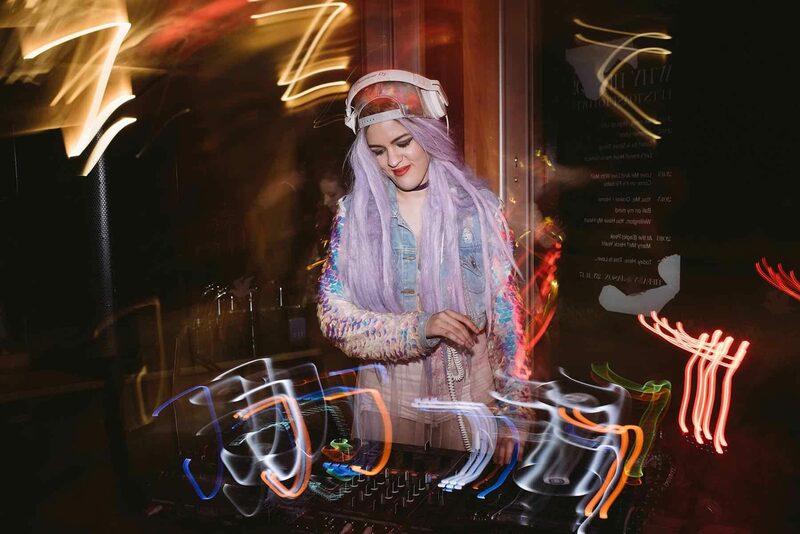 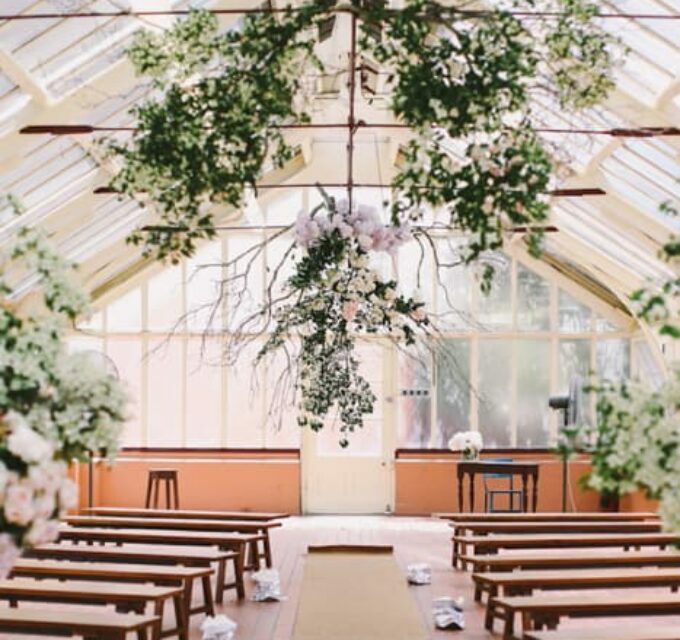 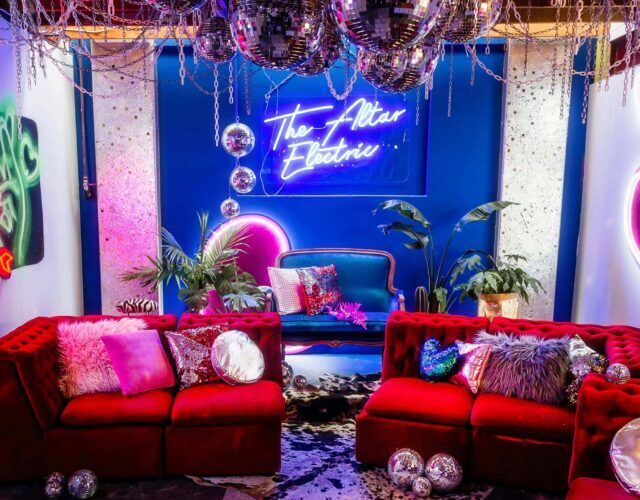 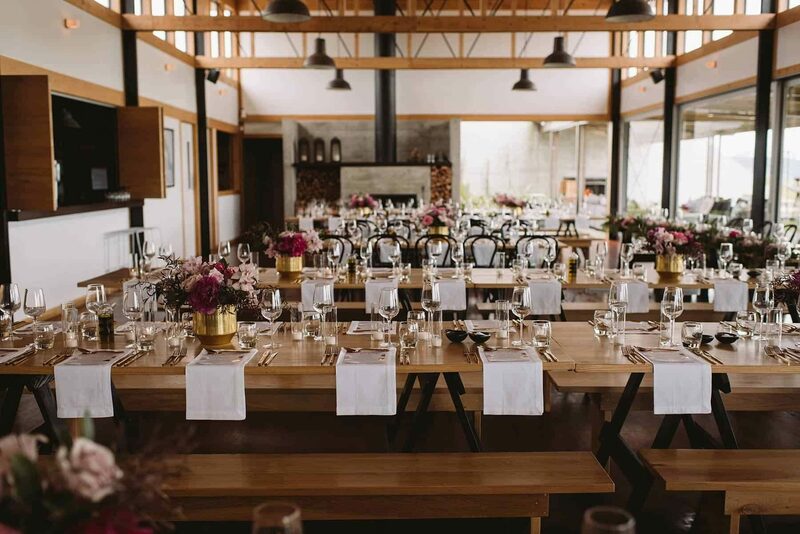 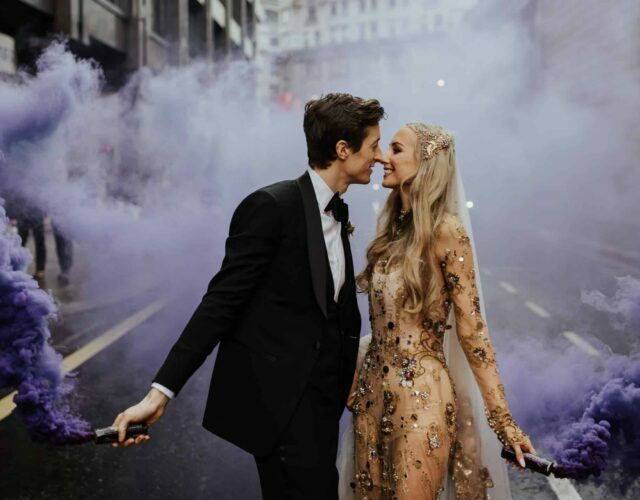 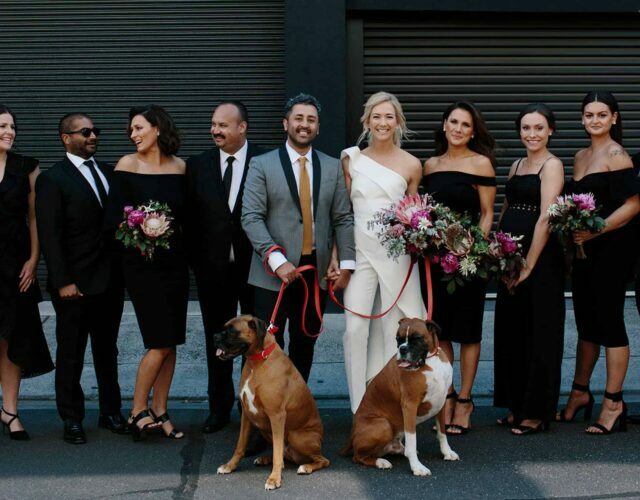 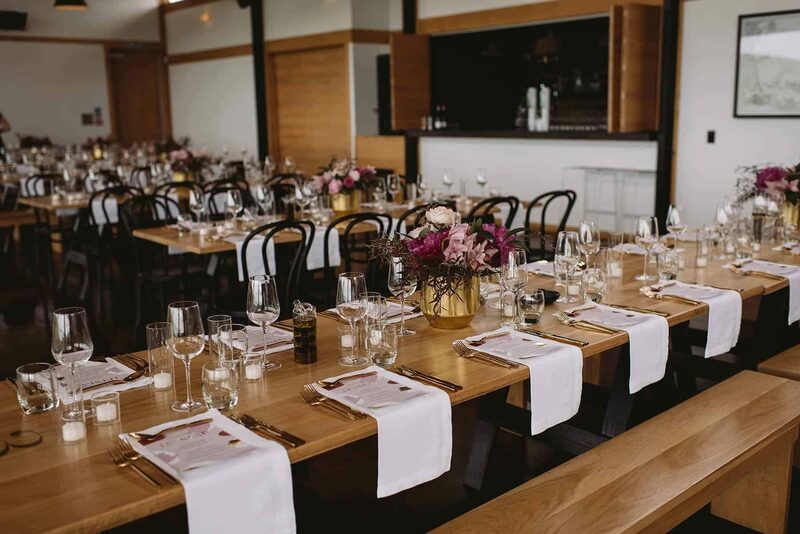 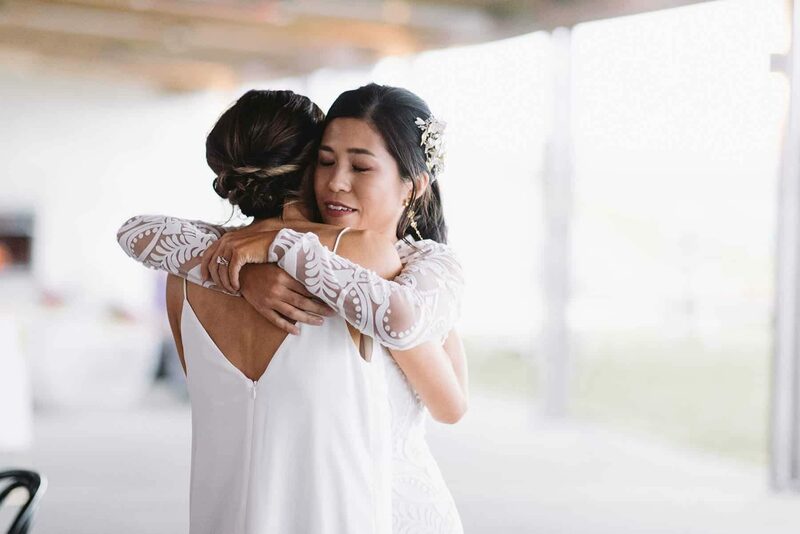 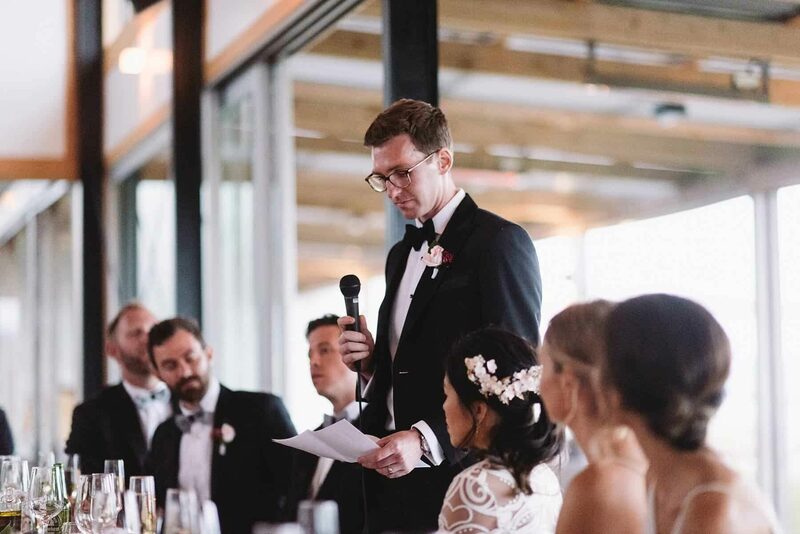 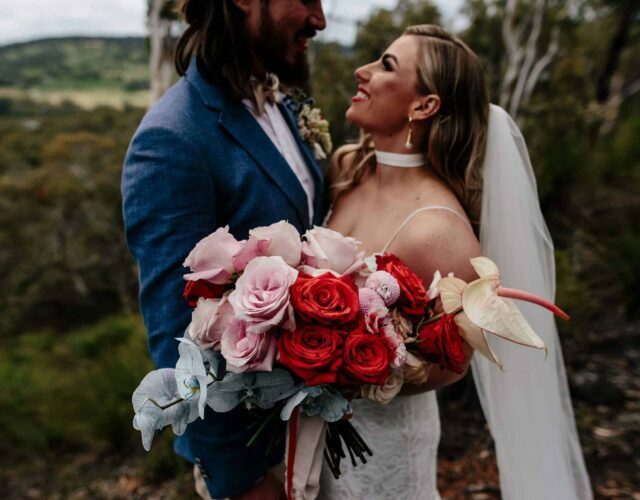 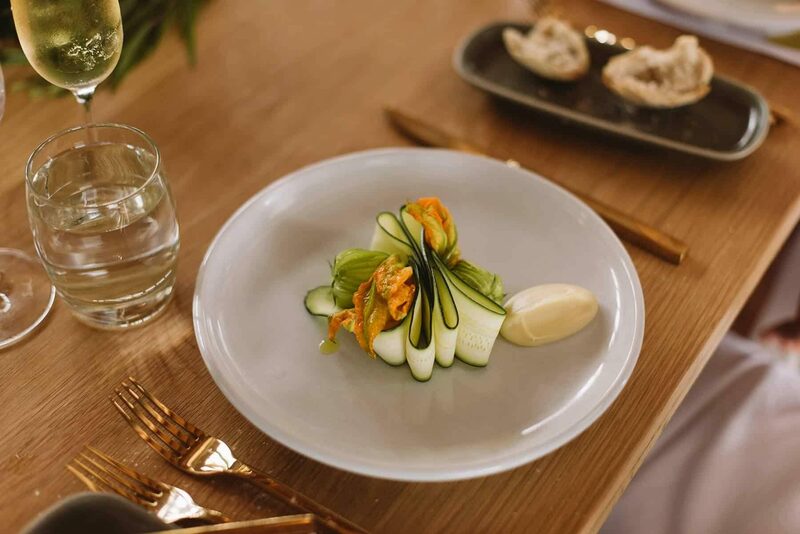 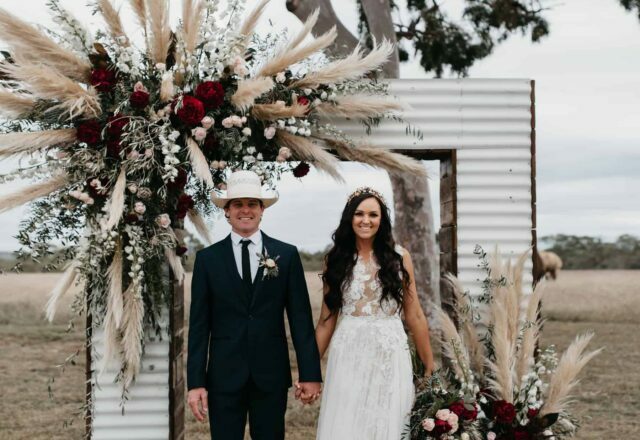 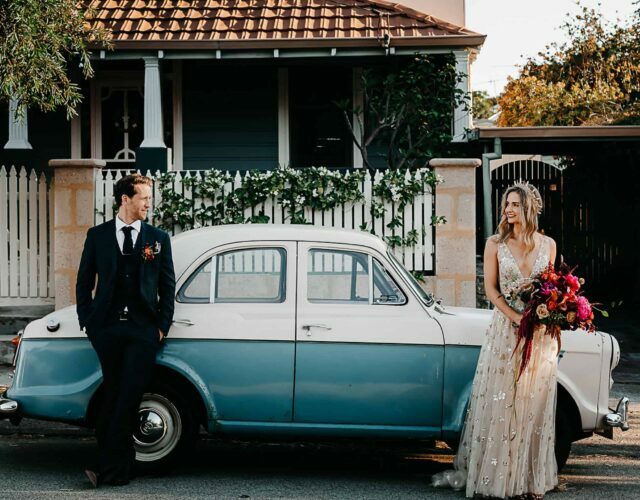 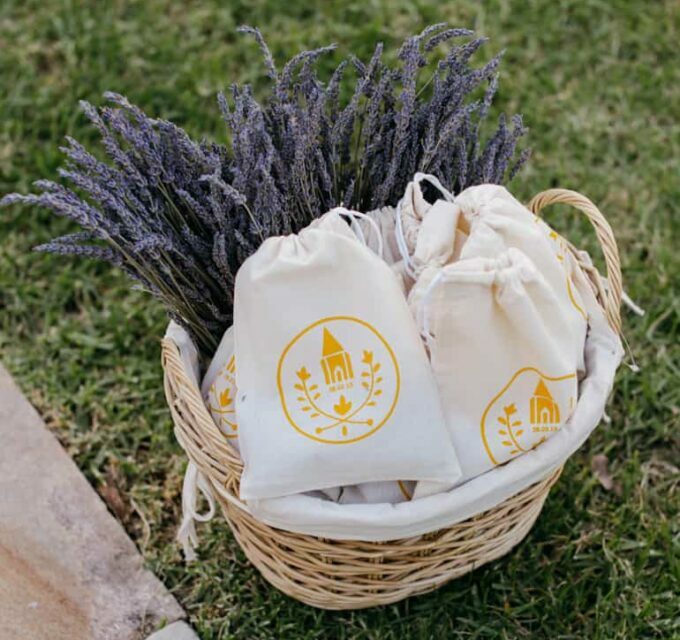 The bride shares “We knew working with PS I Love You Events would help curate beautiful décor details to bring the elements of what we wanted together stylishly.” The couple wanted a modern wedding, while still keeping to trends they knew would be classic and stand the test of time. 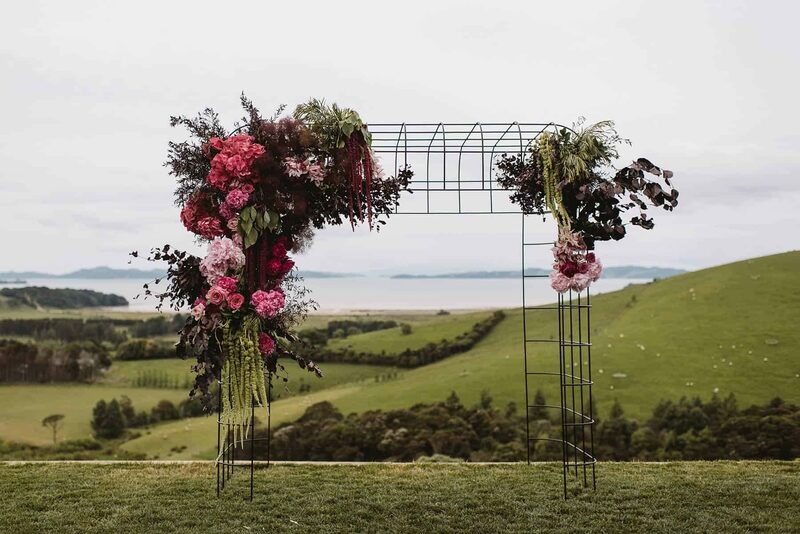 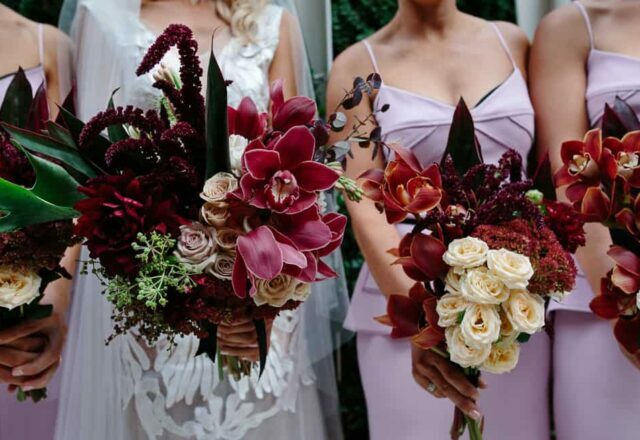 Florist Lu Diamond worked her magic, with bold blooms of dark burgundy mixed with pale pinks and bright fuchsias adorning their modern black wire grid arch. 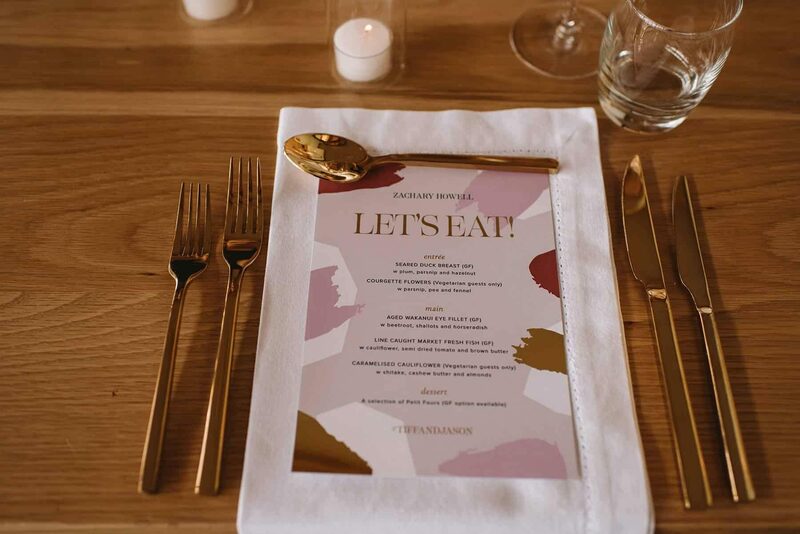 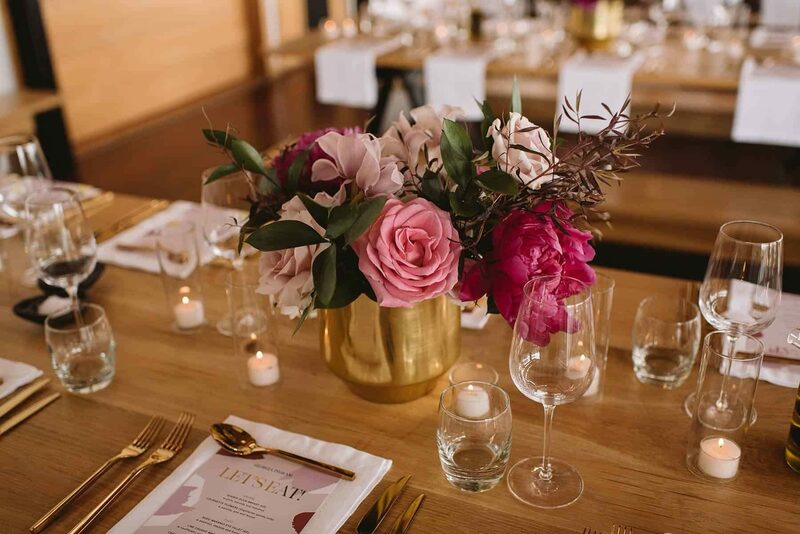 The pink tones were carried throughout other styling elements, with accents of gold detail with menus and signs by Harlan Creative complementing the florals and backdrop of the bay. 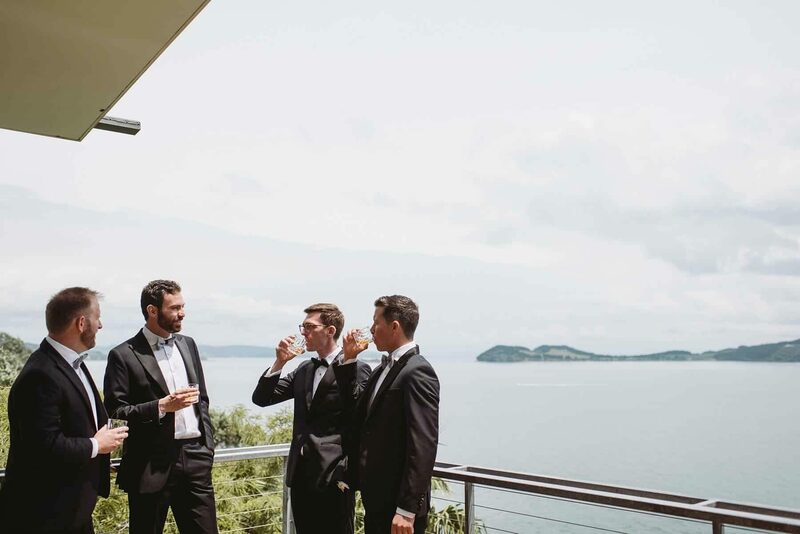 Enjoying the view with a pre-ceremony scotch! 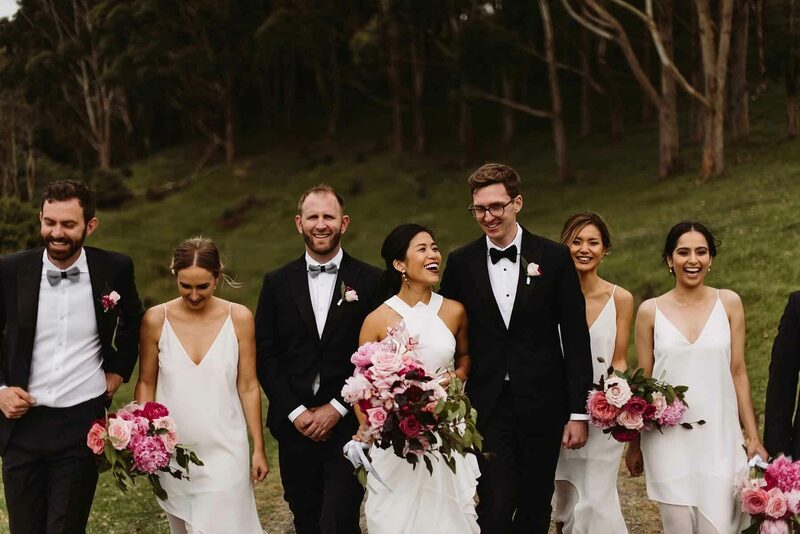 Jason and his groomsmen kept things sharp in classic black tuxes with peaked lapels from Working Style. 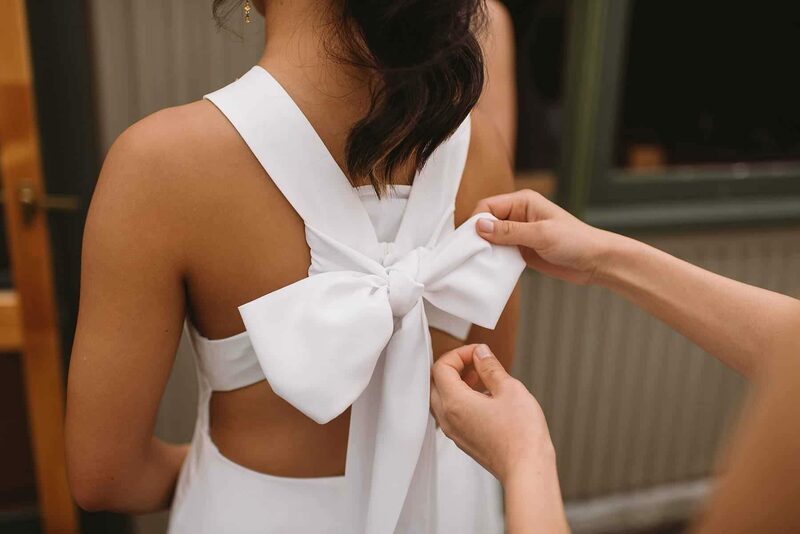 Tiffany wore the Dion dress by Delia Fox from Babushka Ballerina, with a statement bow across the back for a playful touch. 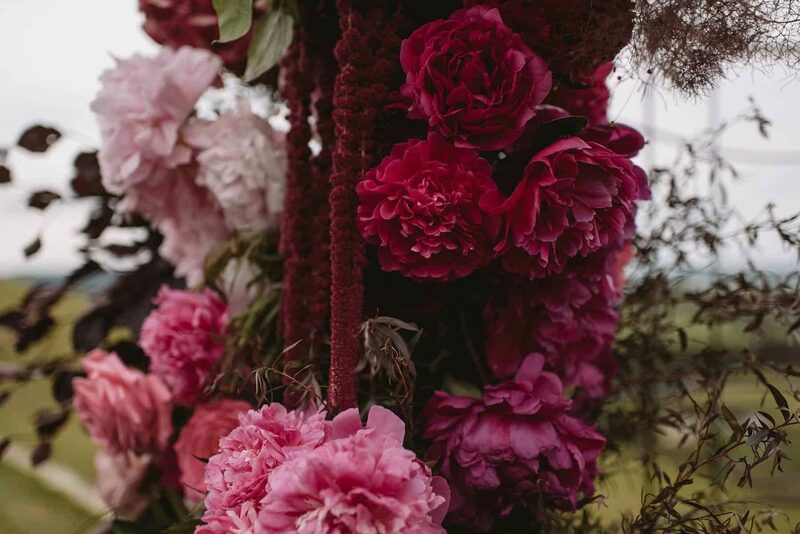 For the evening’s event, she slipped into a long sleeved Alice McCall number. 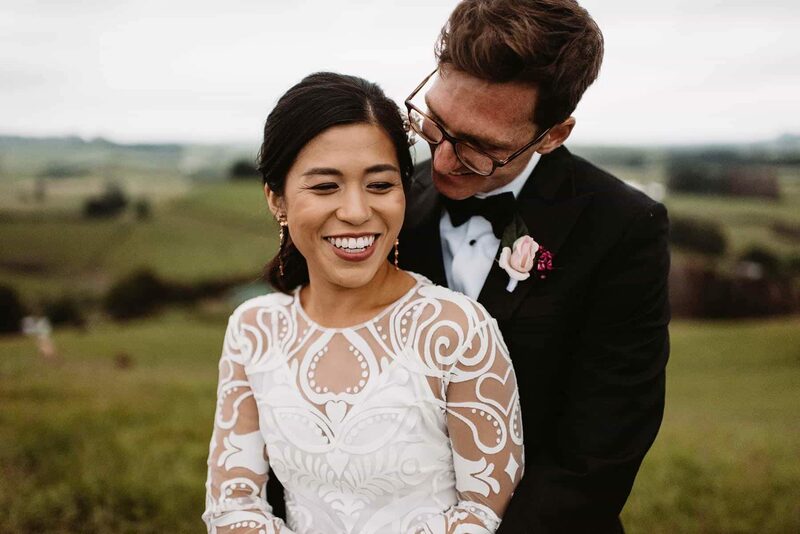 The couple turned to their favourite baker for their gorgeous wedding cake. 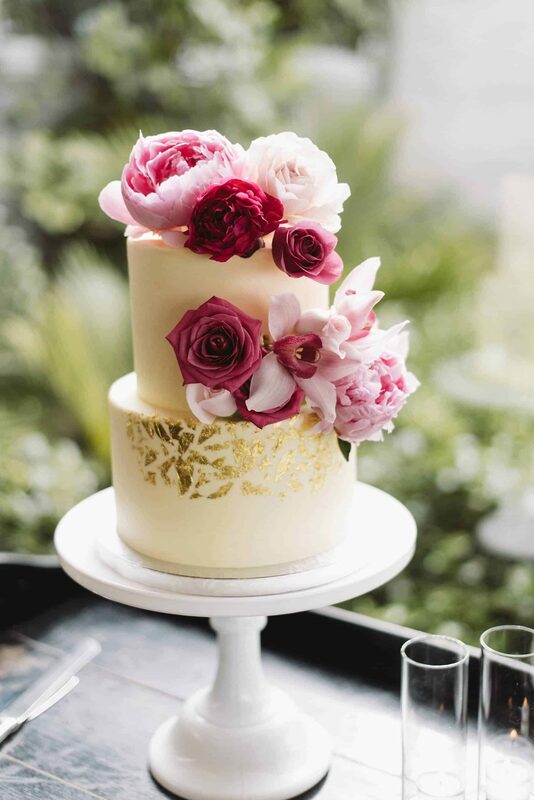 Fitting perfectly with the vibes of the day, Bluebells Cakery whipped up a classic white creation, flecked with gold and topped with pink flowers. 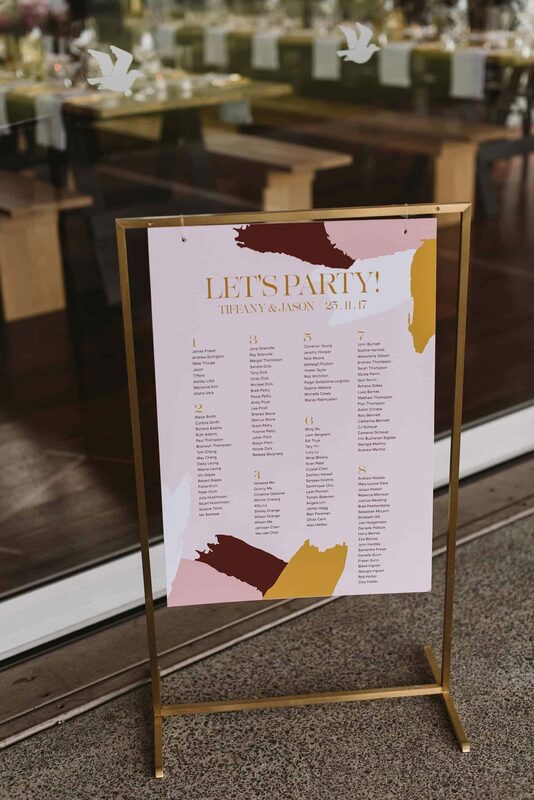 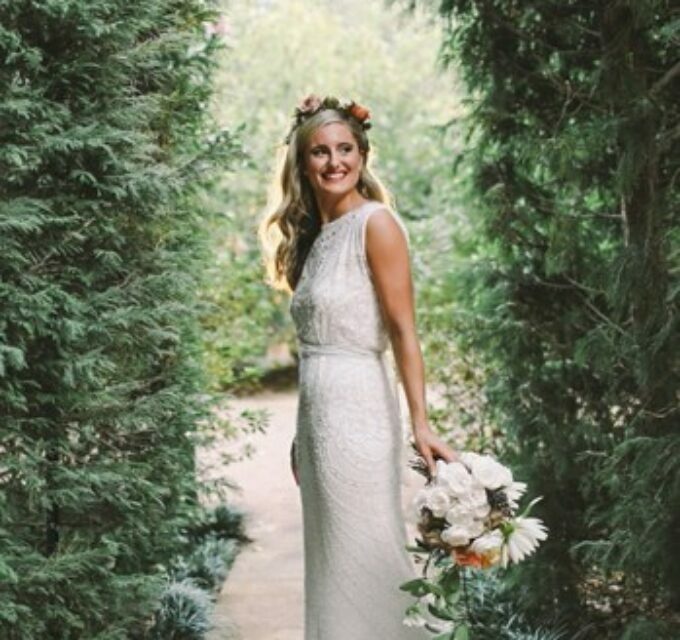 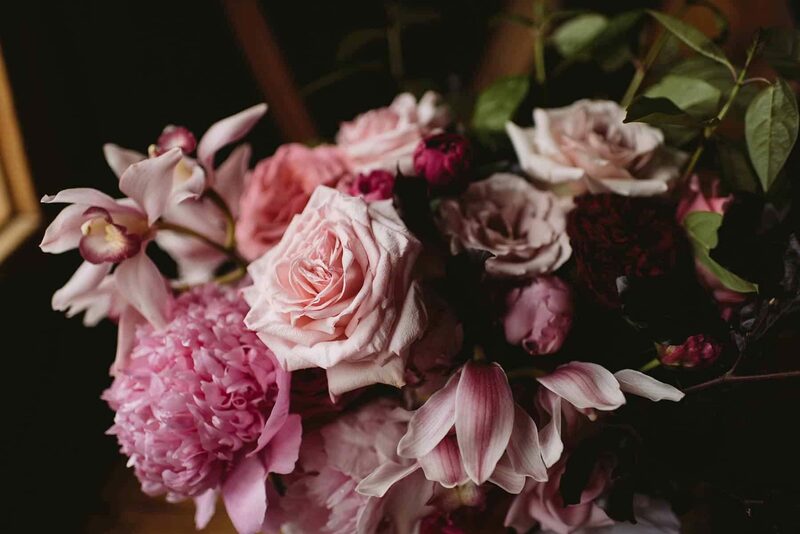 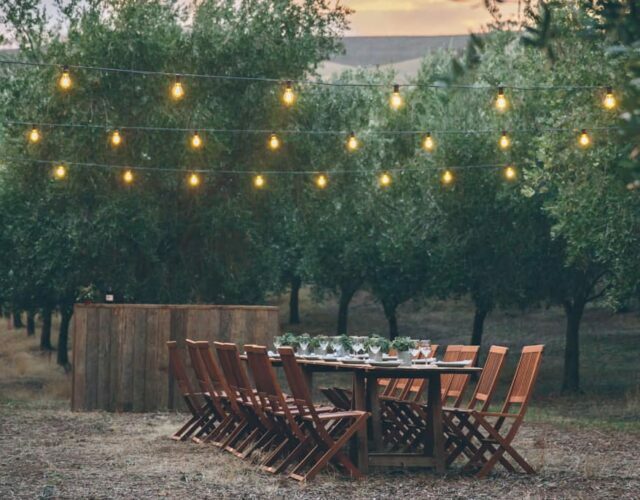 PS I Love You Events are experts at creating gorgeous days that run as smooth as silk, and with Tiffany and Jason’s super busy schedules (Tiffany is a Doctor/Jason a Lawyer), choosing a great stylist meant having a gorgeously curated day tailored to them, while saving precious time! 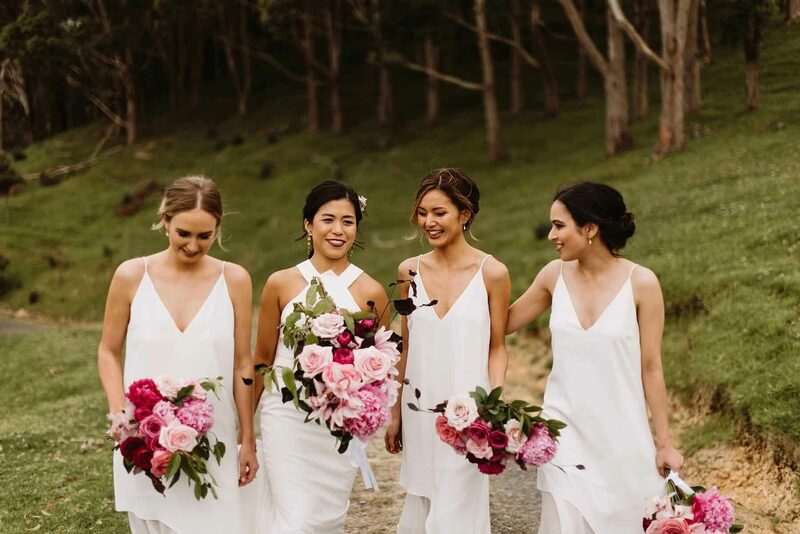 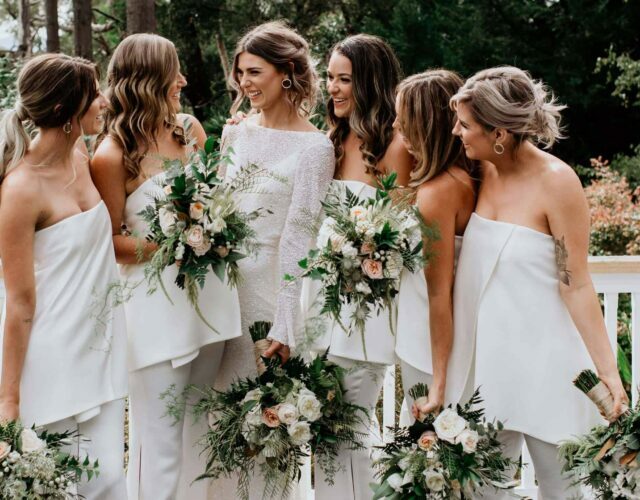 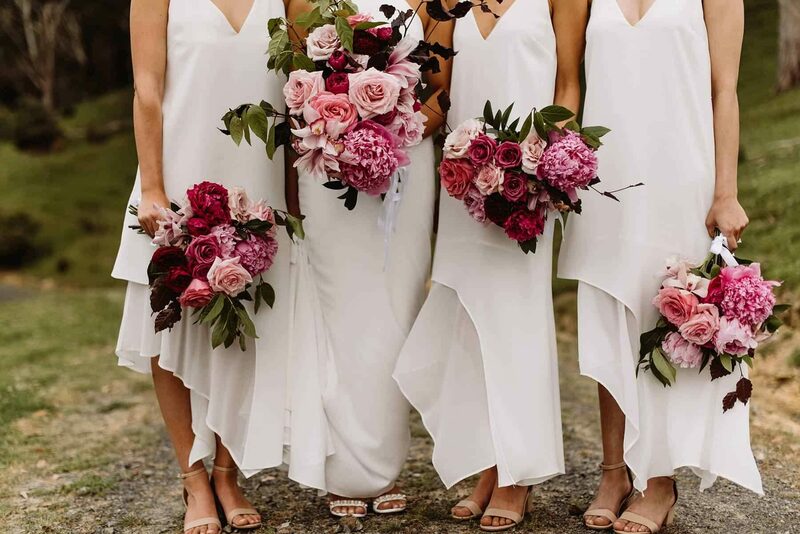 Tiffany's bridesmaids wore sleek white slip dresses by C/meo Collective, against which their vibrant bouquets by Lu Diamond really popped.